Berkeley Clinic provides Anti-wrinkle injections treatments in a professional, yet relaxing environment. 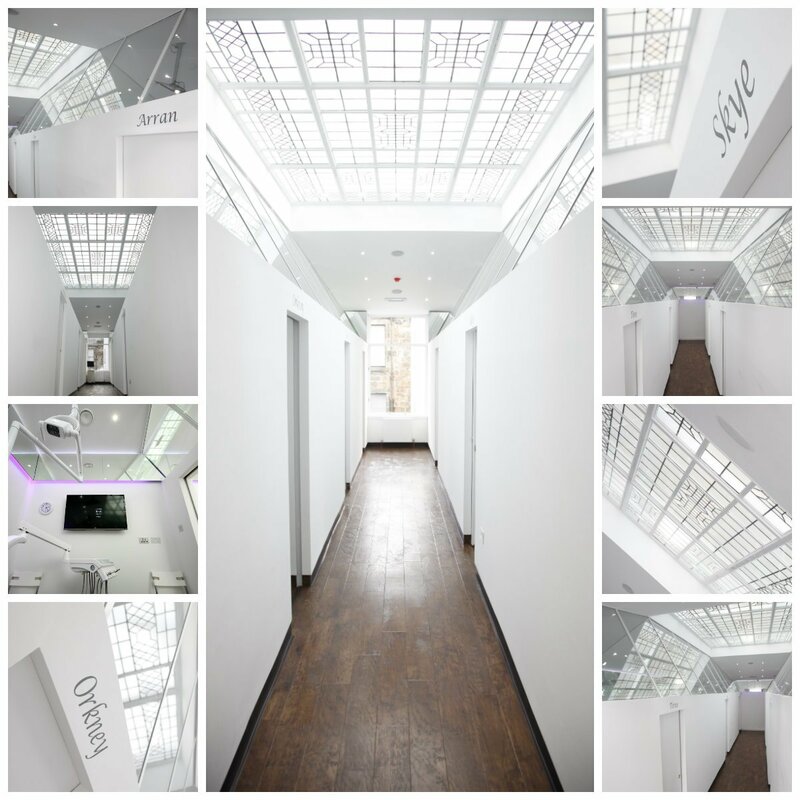 Based in the city centre of Glasgow, we like to think our clinic is the perfect space for our clients to have their cosmetic treatments completed at a time and place which is suitable for them. Our Anti-wrinkle injections Glasgow practitioners are all fully qualified with years of experience, which means our patients receive the highest standards of care possible. When possible we will meet every unique requirement, offering quick procedures with undeniable results. It is true to say that Anti-wrinkle injections are the most popular cosmetic treatment available at our clinic. The treatment is hugely successful and is known to relax facial muscles, making wrinkles less visible. If you have any questions about this procedure, feel free to get in touch. This is only a short guide to the treatment and focuses on the most frequently asked questions about Anti-wrinkle injections in Glasgow. What does The Berkeley Clinic Do? The Berkeley Clinic offers dental and cosmetic treatments in Glasgow. Our clinic is one of the most technologically advanced dental clinics in the UK offering a range of services. We work with new and familiar faces every day, making us one of the most experienced clinics in Glasgow. With some of the UK’s most talented cosmetic practitioners at our Glasgow base, The Berkeley Clinic should be your first choice when it comes to Anti-wrinkle injections. Can I book a consultation first? Yes. Call us now to book your Anti-wrinkle injections consultation with a qualified professional. Our cosmetic team can talk you through your options when it comes to facial aesthetics in Glasgow. Book your consultation today by using the Contact Us form, call us or speak to us on live chat. Where do I start with anti-wrinkle injections? If you have never had anti-wrinkle injections before, then you may not know what “Anti-wrinkle injections” is. This widely known term is short for Anti-wrinkle injections. Anti-wrinkle injections is a naturally occurring protein that causes the muscles of the face to relax, smoothing out wrinkles. Anti-wrinkle injections is the UK’s most popular cosmetic treatment for the removal of wrinkles and it is also fairly quick to complete. Procedure time usually takes around 30 minutes, which means it can even be completed before or during the working day. There are very little side effects with this treatment, which means that patients can return back to work almost immediately. The sensitivity of the face will last usually an hour. The duration of results lasts for around 3 – 4 months. We advise all of our patients that during the first year of Anti-wrinkle injections treatment, you may need to have the treatment done approximately 3 times. After the first year of Anti-wrinkle injections treatments, it is suggested that you have Anti-wrinkle injections applied only twice per year, this allows muscle recovery time. If you are continually having the treatment, it may only need to be applied once a year. Anti-wrinkle injections kicks in immediately, one of the main benefits of having the cosmetic procedure completed. Who is suitable for anti-wrinkle injections? Anti-wrinkle injections is one of the quickest cosmetic treatments available at The Berkeley Clinic. The treatment will involve a doctor making a series of small injections into the muscles of your face. The injection process itself will only take few minutes. This is a non-surgical treatment, therefore, the procedure is largely pain-free. If you are uncomfortable with needles, then there you may feel mild discomfort which is experienced due to the small needle injection involved. Anti-wrinkle injections have been used for many years. Anti-wrinkle injections were first used four decades ago, however, the treatment has changed over the years. To this day, Doctors not only use Anti-wrinkle injections for cosmetic patients, they also use it to relax muscles and sweat glands. Anti-wrinkle injections is safe when it is completed by a trained medical practitioner. Medical practitioners must have the appropriate training to complete this non-surgical treatment, the risks are extremely minimal. For more information on the products we use, get in touch with our team today via live chat. What happens after Anti-wrinkle injections? Any Anti-wrinkle injections clinic in Glasgow will advise you to can carry on with your day as normal. The only cautious advice that a medical practitioner is to avoid strenuous activity, saunas and other facial treatments for up to 24 hours. The results from Anti-wrinkle injections can be seen almost immediately. After 4-10 days of having them applied you will notice an improvement in your lines and wrinkles. If you are worried about the side effects of Anti-wrinkle injections, then you should always visit a professional medical Anti-wrinkle injections clinic. Some of the side effects which are associated with Anti-wrinkle injections are short-lived and mild, the most common being mild bruising to the site of the injection. Some patients also report mild headaches shortly after the treatment, but these usually subside within 24 hours. Who Should Not Use Anti-wrinkle injections? If you are still unsure if you are suited for Anti-wrinkle injections treatment then a full list of side effects, cautions and contraindications will be discussed at face to face consultation. We can also discuss this over the phone with you.